I have implemented this package for my diploma thesis of Voronoi diagrams of circular arcs (, straight-line segments and points). Therefore you can export the data into two file formats: VRONIs site-format and CGALs dat-format. You can download the code here. Please note, that this package is still in development state! 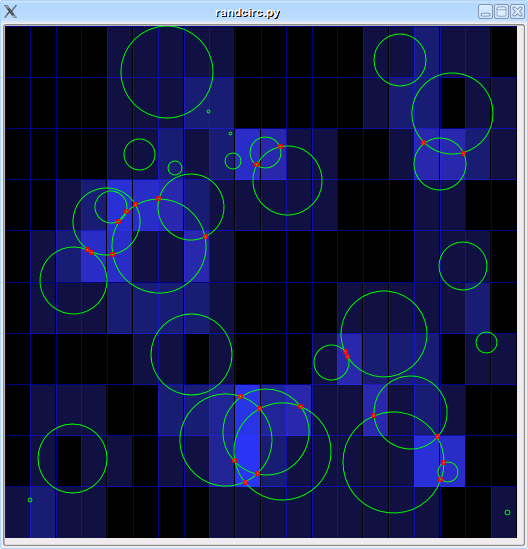 On my 1.6 Ghz notebook I can insert 10.000 circles with random-radii up to 0.005 with a 100x100 grid in about 41 seconds. The result consisted of ~20.000 arcs and circles. When using psyco the computation was done in 27 seconds.